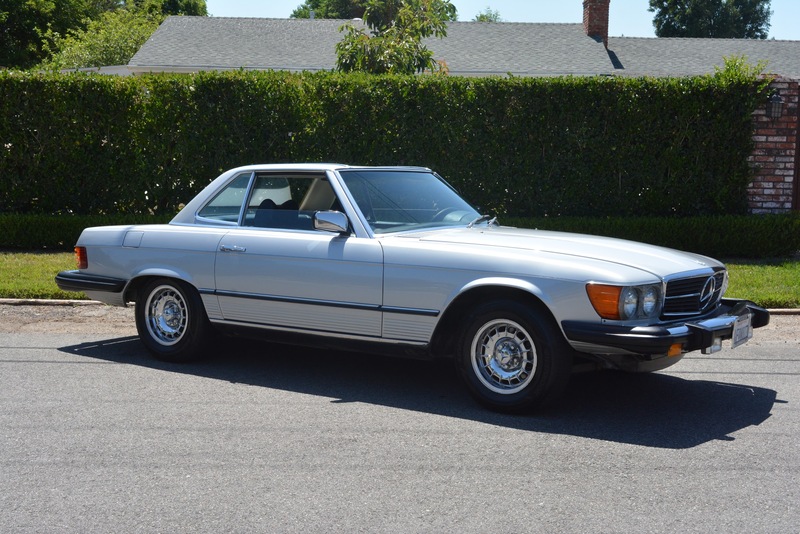 1979 Mercedes Benz 450SL in Collectible Condition with 122k miles on the ODO. Originally an Idaho car that was purchased and moved to Santa Barbara, California by an older gentleman who had a thing for German automobiles. The car has been repainted in the original color (Astral Silver, Color Code : 735 Glasurit Paint) with very high level of detail. The entire car was dis-assembled, stripped, and repainted. Show quality paint job. All of the exterior chrome pieces, and trim are in remarkable, original condition. This car was always garaged. Perfect body gaps with just the right amount of SL “thump” when you close the doors. The engine is very healthy. It doesn’t overheat, or blow smoke out of the exhaust. Just passed California smog. All exterior light fixtures, interior switches, and courtesy lights work as they should. The suspension doesn’t rattle or make any noises, the steering is tight, brakes recently refreshed. In conclusion this is a very clean, garage kept, unmolested and adult owned SL. The work which was performed has been top notch and it shows. Comes with a clean California title, first aid kit, tools, misc. maintenance receipts.